Buchnevich spent some time in coach David Quinn's dog house early in the season, but he earned consistent playing time in the second half en route to a new career high in goals. 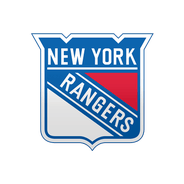 The talented Russian showed great chemistry with Mika Zibanejad and Chris Kreider on the top line down the stretch, and the trio can be expected to open the 2019-20 campaign together barring a splashy offseason acquisition, which certainly can't be ruled out given New York's plentiful cap space. Buchnevich (concussion) will rejoin the action Wednesday against the Senators, Colin Stephenson of Newsday reports. After just one game in the press box, Buchnevich will return to the ice, looking to keep a seven-game point streak alive. He's tallied eight points over that span compared to just 37 over 61 contests on the campaign, so, if his late season-outburst is any indication, Buchnevich could be shaping up to be a breakout candidate next season. The third-year winger will slot in alongside Mika Zibanejad and Chris Kreider on the top line in his return. Buchnevich (concussion) is considered questionable for Wednesday's game against the Senators, Rick Carpiniello of The Athletic reports. 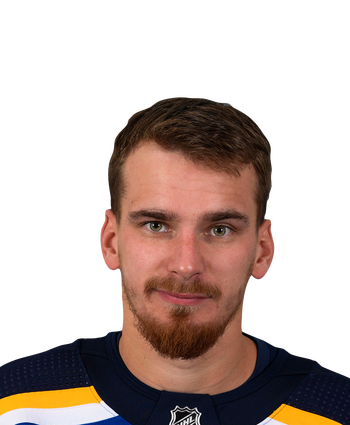 It's unusual for a concussed player to only need one game away from the ice -- Buchnevich wasn't in action against the Devils on Monday -- but the official team source isn't ruling him out for Wednesday's clash. If Buchnevich ultimately needs more time to recover, the Blueshirts could always go with an extra defenseman up front. Buchnevich (concussion) will not play in Monday's game against the Devils, Mike Morreale of NHL.com reports. Buchnevich's game-time decision call came as a bit of a surprise, but he may have sustained an injury in Sunday's game in Philadelphia. For now, he should be considered day-to-day as Connor Brickley enters the lineup. Buchnevich (undisclosed) is a game-time decision for Monday's game against New Jersey. It's unclear when Buchnevich picked up the injury, but his status is currently uncertain. The Russian is riding a six-game point streak so his absence would be an important one. If he can't go, Connor Brickley will draw into the lineup.